Ratchet and Clank’s final rodeo for this generation may come to more than the PlayStation 3, if a listing on Amazon France is to be believed. 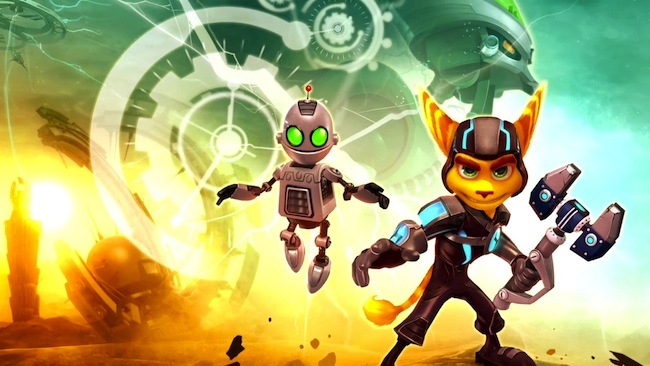 The online retail giant’s French division lists Insomniac’s upcoming Ratchet & Clank: Into the Nexus (listed there as simply Ratchet & Clank Nexus) for release on the PlayStation Vita for the price of 19.99 Euros, which translates to just a bit over $26 US dollars. At this point, it’s hard to predict the validity of the listing – Sony’s original announcement of the game earlier this month only mentioned the PS3 version, but it’s certainly not out of the realm of possibility that the game could ship on both platforms simultaneously. Other games have been made available for both systems, but those have primarily been digital releases on the PlayStation Network. One also wonders if, this proves to be true, the game will have any cross-buy functionality – in other words, if purchasing the game on one platform unlocks it on the other. Until something more concrete comes down the pipeline, take this with a grain of salt – it certainly wouldn’t be the first time an online retailer made a mistake like this, and as of this writing the US Amazon site only lists the PS3 version. Would you buy a copy of Ratchet & Clank: Into the Nexus on Vita? Why or why not? Let us know in the comments.